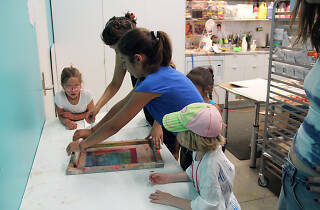 Artsy kiddos will learn to silk screen images onto a piece of fabric and isolate them in large areas of color. 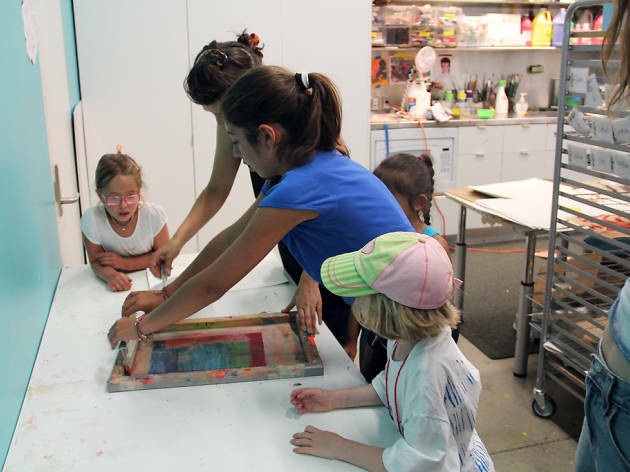 This art project is inspired by the artist Eliza Kentridge whose art takes images, traces them, adds them to fabric and separates them on plain backgrounds. Ages 5 and up.